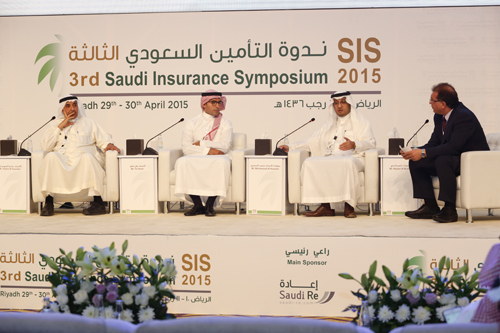 The Saudi Insurance Symposium (SIS) is one of the largest forum for the insurance companies across Middle East. Since the first version in February 2011, the symposium has adopted a number of policies that have had a positive impact on the insurance industry in Saudi Arabia. 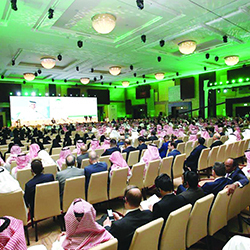 The Saudi Insurance Symposium organized periodically every two years to shed a light on the insurance sector’s role in developing the national economy and providing solutions to the most important challenges facing this sector in Saudi Arabia. SIS works to set clear plans to address these challenges and to formulate a new vision for the insurance sector’s future and its effects on the overall economic development. The 5th Saudi Insurance Symposium will be held on 27-28th March, 2019 under the theme: “Protection and Sustainability”. 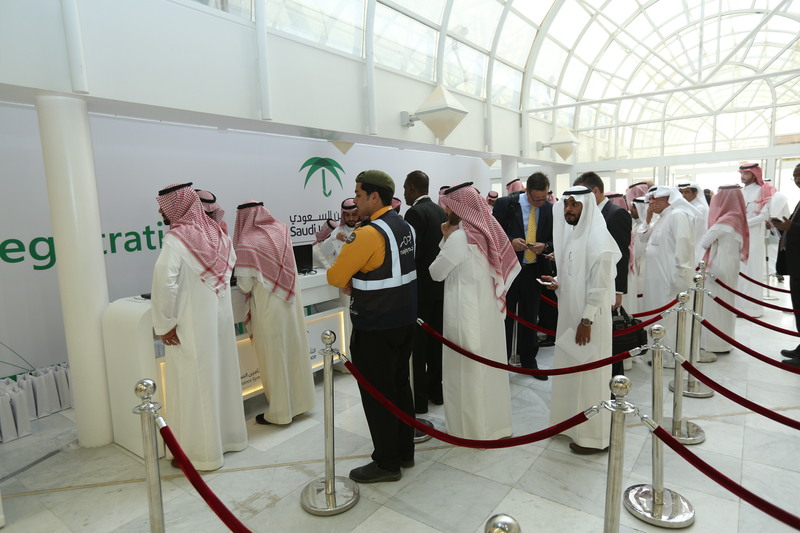 The fifth version of SIS will attract more than 1,000 insurance specialist, local officials, international managers and executives to discuss for two days, the role of insurance sector within Saudi Arabia’s economic development in light of the many new policies and regulations issued by SAMA recently. 60 Minutes Panel Discussion Fahad Al Hesni - CEO of Saudi Re 1- Mr. Dawoud Al Duwaisan - CEO for Kuwait Re. 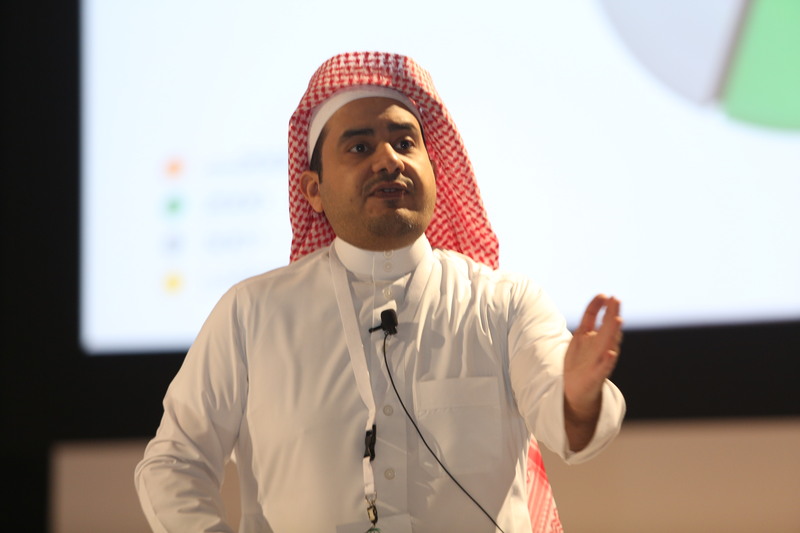 3- Mr. Naji Al Tamimi- Regional CEO, Aon Saudi Arabia and Bahrain. 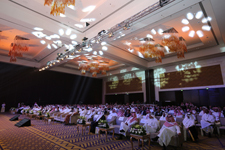 The Fifth Saudi Insurance Symposium has outlined the future of the local insurance sector in front of the attendance of 1200 senior officials and those interested in the insurance sector from inside and outside the Kingdom. 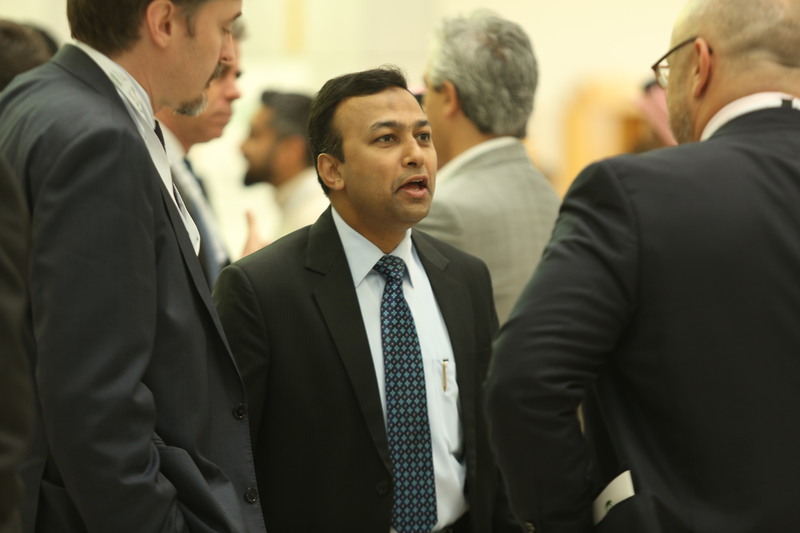 The eight panel discussions and deliberations outside the auditorium during the two-day period between the two-day sessions of Riyadh focused on foreign investments, savings, the future of health insurance and the issues of digital transformation, and the role of the actuarial expert in developing the sector, challenges and opportunities for the reinsurance market. 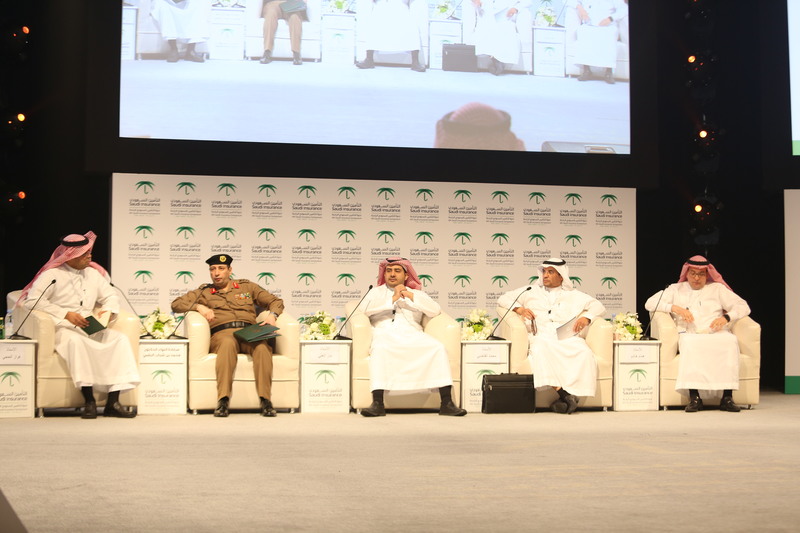 The symposium, which concluded last week in Riyadh under the slogan "Protection and Sustainability", was a qualitative educational platform through serious discussions on enabling the development of the sector and introducing a package of realistic solutions. Revealed d. Said that one of the most important challenges facing the insurance sector is mainly the weakness of confidence in the performance of companies as a result of historical factors and this holds companies responsible for providing more awareness efforts. The importance of insurance and the dissemination of culture and diversification of products, where - and talk to the governor - that 85 percent of the insurance policies concerned vehicles and health insurance only, and this requires further diversification and the provision of new products with efforts to enhance confidence in products. 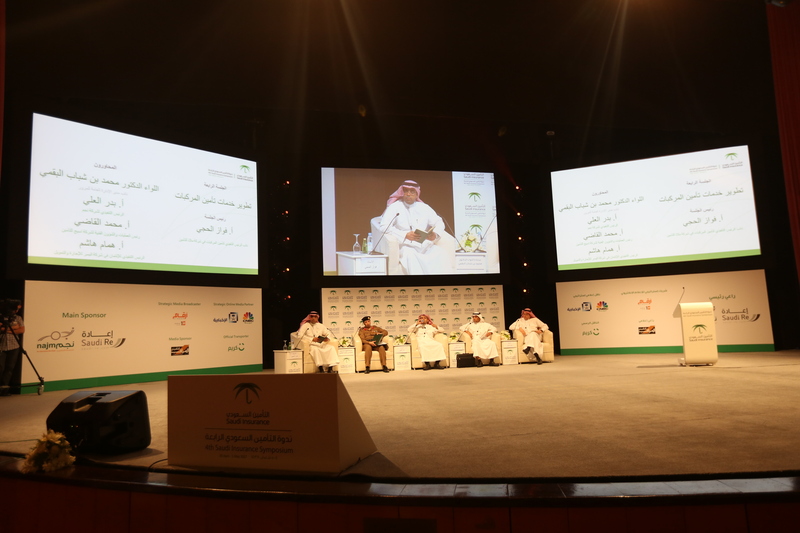 The governor said during the panel discussion, which was chaired by Abdulaziz Al Sudais, Chairman of the General Committee of Insurance Companies On behalf of the return of the Chairman of the Executive Committee of Insurance Companies, the vision of the Kingdom of 2030 is ambitious and its programs and initiatives are supportive of the economic transformation and development programs and we hope that the insurance sector will achieve these aspirations and strengthen the culture of risk management and raising awareness and raising the sector's contribution to GDP, which currently stands at 1.5% In this regard, the importance of developing all systems related to the financial sector. 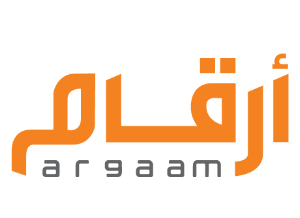 He added: "We look forward to customer satisfaction and provide a high level of quality and speed in resolving complaints in order to create confidence in performance, noting that the Foundation has more than 150 employees and staff focused on their duties to receive complaints and follow-up through the links with financial institutions, banks and insurance companies, Even received At the end of 2018 about 30 thousand complaints related to the insurance sector were mostly resolved. The Governor revealed that SAMA has launched a reconciliation between the client and the insurance companies, which deals with complaints regarding vehicle insurance of less than SR 50,000. The executive regulations and electronic signature of the council and the reconciliation committee were approved by the majority of companies. Procedures of reconciliation. 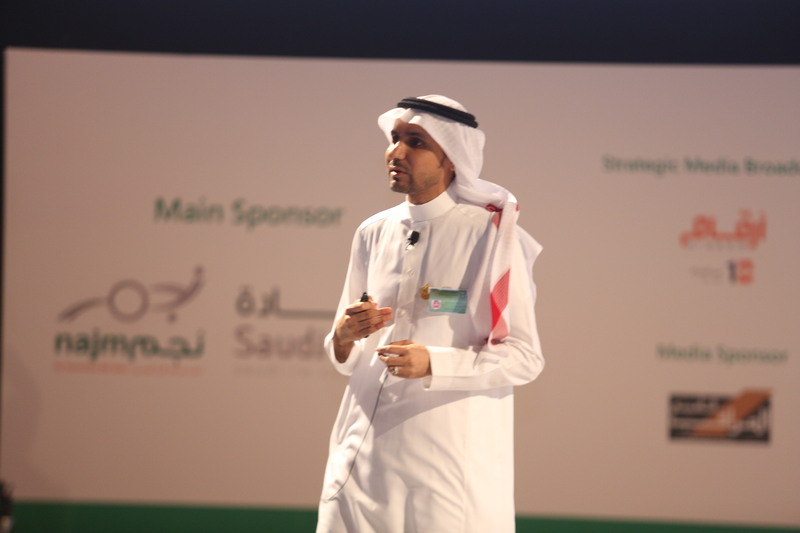 The Deputy Governor of the Saudi Arabian Monetary Agency (SAMA), Dr. Fahad Al-Shathri, affirmed in the first session the importance of Vision 2030 initiatives in enhancing the national economy by diversifying sources of income, pointing out that the insurance sector is one of the development sectors targeted by the vision. The entry of foreign companies will contribute to the development of the local insurance market. The entry of new players into the market is expected to lead to the adoption of modern technologies, Especially in insurance products, in addition to increased confidence, and promote the principle of transparency and governance ». 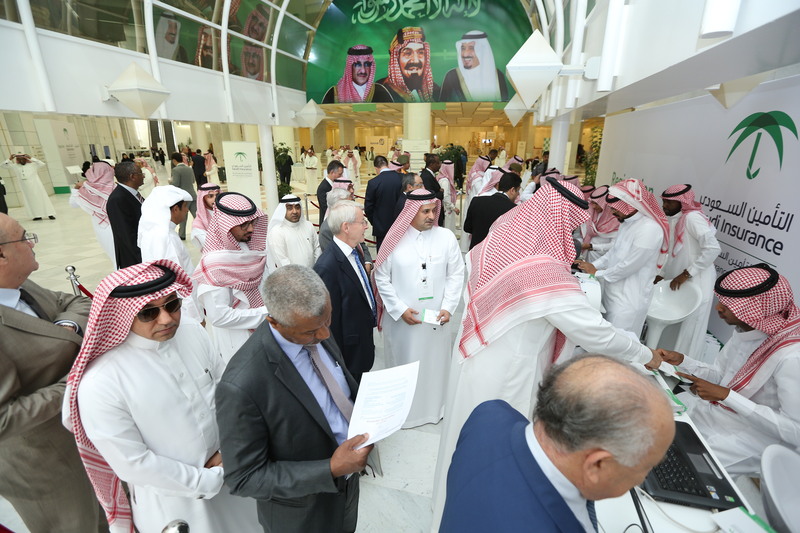 Al-Shathri added: "Foreign investment or the entry of branches of foreign insurance companies in the Saudi market will enhance the skills and expertise and develop national cadres because of the competitive environment resulting from these companies entering the market. On the UAE's experience in attracting foreign insurance companies, Emirates Insurance General Manager Ibrahim Al Zaabi said: "The UAE has a unique experience with foreign insurance companies, which has been the development of the UAE market. Most of these companies have high professional standards that have affected the market. 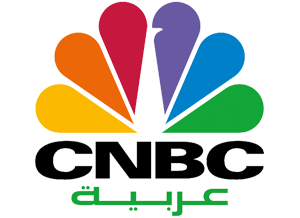 "We now have specialized insurance products in the UAE market, such as expatriate labor insurance and industrial park insurance. These products come as a result of the high level of competition between insurance companies in the local market and the ultimate beneficiary," Al Zaabi said. 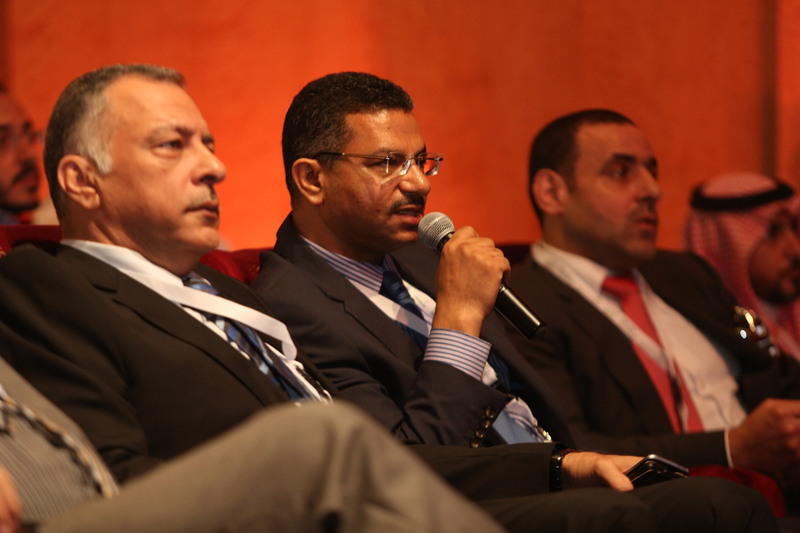 "I fully agree with what was said at this meeting that the insurance companies," said Hadi Hashisha, chief executive of SCOR Re in the Middle East and North Africa, Foreign investors have enough resources and potential to enrich local markets by introducing modern technology and developing sales technology, such as electronic stores, as well as launching specialized insurance products such as cyber risk insurance. " 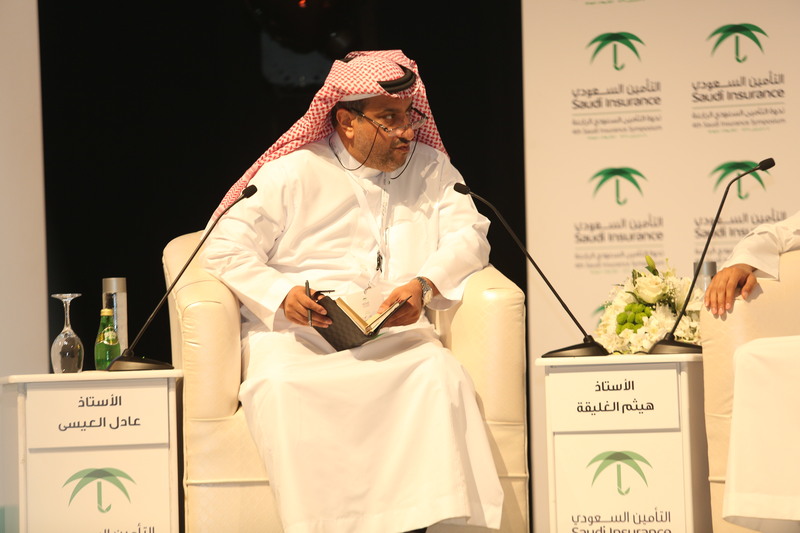 In the second session of the seminar entitled "The Role of Insurance in Saving", the Director General of Insurance Supervision at the Saudi Arabian Monetary Agency, Abdullah Al-Tuwaijri, attributed the reasons for the low saving rate among Saudis to the absence of incentives for saving, in addition to the low level of awareness of its importance. Vision 2030 has adopted several initiatives, through the launch of the Financial Sector Development Program. "The third pillar of the financial sector development program is to enable financial planning to support and stimulate demand for savings products, to support innovation, to improve the savings system, to enhance the efficiency of the financial sector," said Altwaijri, And financial education. "There is no doubt that there is a need to address the reasons for the low savings rate, which is the low level of awareness, lack of discipline or commitment to continue saving," said Mazen Abu Shakra, Gen Re Regional Director for the Middle East, North Africa and Cyprus. The second reason is the most prominent, but there are factors contributing to the low level of savings, such as the dependence of many young people on their families to ensure the minimum standard of living, in addition to the lack of sophisticated products address the youth audience, which accounts for 60% of the population of the Kingdom ». Nayef Al-Misnad, Executive Director of Wealth Management at NCB, reviewed several models of savings and stressed the need to strengthen the public-private partnership system in adopting important steps towards enhancing awareness of the importance of saving. The third session was held under the title of "The Actuarial Expert and its Role in the Development of the Insurance Sector", chaired by Johnson Vargas, CEO of Walaa Insurance Company, with Sarwar Jarami, Actuarial Expert at SAMA, Ahmed Al Qureshi, Risk Manager, Actuarial in the Middle East at Melman, as speakers at the session. The workshop focused on "defining the responsibilities of the actuarial expert by combining understanding and understanding of theories and applications in the sciences of mathematics, statistics, economics and finance, and using this to measure future risks and propose solutions to avoid the resulting problems." 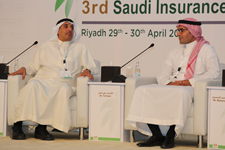 The seminar addressed the noticeable improvement In the performance of insurance companies during the years 2016 - 2017 after the start of the role of actuarial experts in the study and estimation of prices and exercise their work in giving directions of financial vision of the company, and their commitment to implement the instructions of the Saudi Arabian Monetary Agency (SAMA) to protect against risks. The researchers concluded the importance of the work and duties of the actuaries in the insurance sector, especially in the field of social health insurance through its role in the application of statistical and mathematical principles for the preparation of tables of contingencies related to risks and deaths, accidents, diseases, disability, unemployment and retirement in order to work to calculate premiums and rates of financial contributions required based on the factors of expenditure Interest rates, age, gender, and client occupation. The fourth session on the first day dealt with the subject of the Saudi reinsurance market - opportunities and challenges. The session was chaired by Fahad Al Hossani, Chief Executive Officer of Reyad Al Dawaisan, CEO of Kuwait Reinsurance Company, Mr. Mark Cooper, General Representative of Lloyds Middle East, and Naji Al Tamimi, Chief Executive Officer. For the international insurance company Eun Insurance in Saudi Arabia and Bahrain. There has been a slight improvement in the insurance curve as it does not see a large increase but is slightly inclined to decline in reference to the Gulf markets being affected by global market factors. However, the Gulf market is able to compensate losses in the insurance sector by introducing reinsurance to the region and with good capabilities Short term. 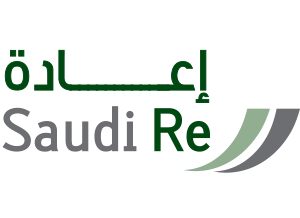 The meeting concluded the fact that there are excellent opportunities in the Saudi market for reinsurance and there are companies seeking to develop and support the industry and economy so it is necessary to work in an integrated way to develop the market, where there is a strong relationship between the insurance market reinsurance and the relationship is strategic and long and there are goals to be achieved through Takatof All parties and specifically the legislative aspect which would work to provide insurance for the performance of insurance and reinsurance companies to achieve market sustainability. 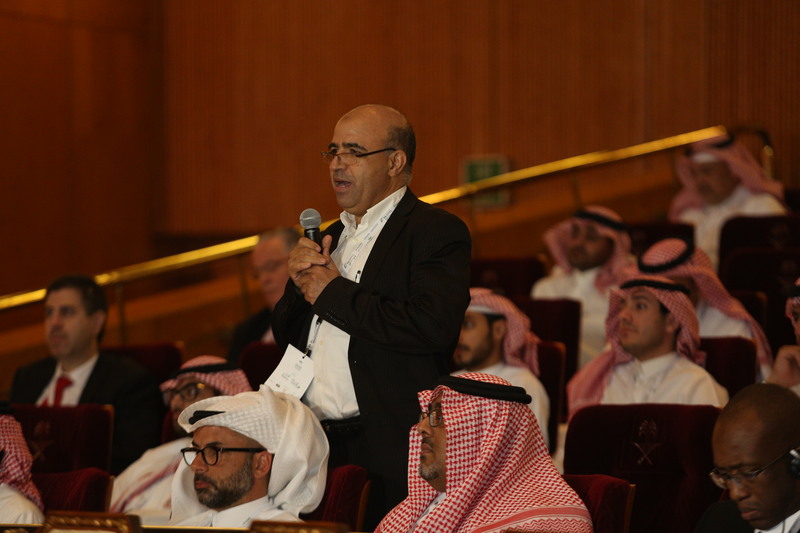 On the second day of the seminar, which began with the fifth session entitled "The Future of Health Insurance", chaired by Ali Al-Subhayeen, Board Member of the Board of Directors of Shadid Re Re-Insurance Company. 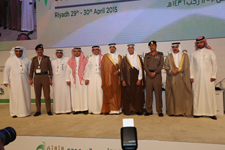 The speakers included Dr. Shabab Al-Ghamdi, Secretary General of the Saudi Health Insurance Council, CEO of Tawuniya Insurance Company, Member of the Executive Committee and Chairman of the Health Insurance Sub-Committee, and Dr. Khalid Al-Subaie, Chairman of the National Health Committee, Member of Riyadh Chamber Council. 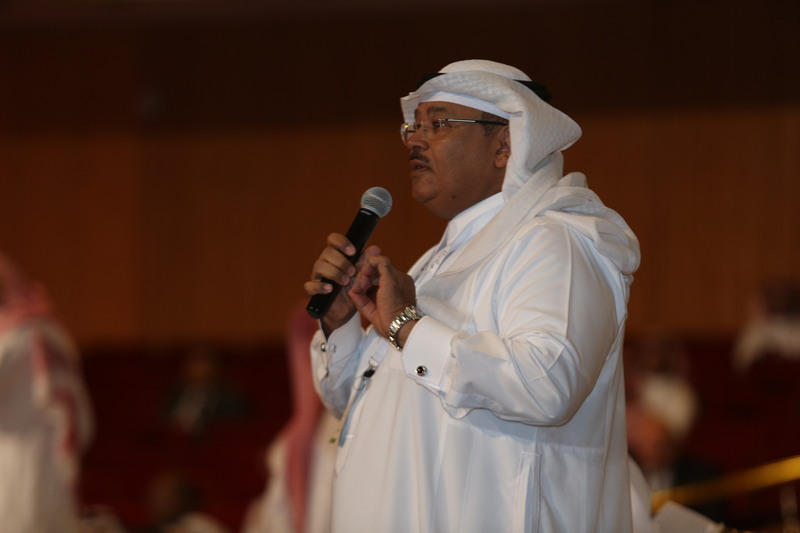 At the beginning of the session, the Chairman of the session presented a number of topics to the participants about the future vision of the health insurance sector in light of the initiatives, economic transformations, legislation and regulations that allow for the development of the sector according to the vision of the Kingdom 2030 through the three axes that constitute the health insurance sector Service providers, insurance companies and supervisory and supervisory bodies. In this context, the Chairman of the Health Insurance Sub-Committee and the CEO of Al-Tawuniya Insurance Company Abdulaziz Al-Buq reviewed the reality of health insurance in the Kingdom. He pointed out that the sector will see growth in the next ten years at a rate of more than 70% of this year without adding visitors and pilgrims who are expected to Constitute an important segment of the insurance sector in the next phase. The Chairman of the Health Insurance Sub-Committee pointed to the main factors that will be the main engine for the growth of the Saudi health insurance sector, the first of which is the implementation of the national transformation projects and the vision of the Kingdom 2030, especially the mega projects such as the new and the cash, which will open a large area for the employment of Saudi youth, which will be a great opportunity to be covered by health insurance. The role of the SME sector in providing more than one million jobs in the coming years. 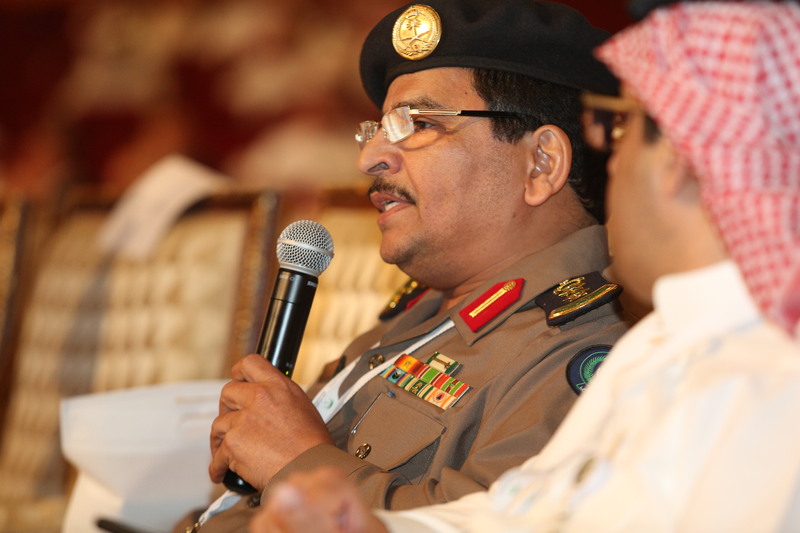 Al-Buq said that the health insurance will include new categories in the list of insured currently, including the categories of Saudi citizens working in the private sector and their dependents, and the visitors of the Kingdom of tourists and Umrah as well as domestic labor and thus contribute to the growth of this sector, pointing out that the population increase at an annual rate of 2.5 The social changes currently taking place in the Kingdom will be an important factor for the growth in the number of health insurance coverage. He described the health insurance experience in the Kingdom during the last period as successful, with the size of the health insurance sector 20 billion riyals in 2018 and forms 55% of the total size of the insurance market, and the number covered by health insurance under the umbrella of health insurance will reach the end of this year to 12 million Which confirms the importance of this insurance in support of health care plans and the expansion of private health sector investments after the cardholders have become about 85% of the total review in private hospitals. The participants discussed the role of the Health Insurance Council and its future vision in the development of health insurance performance. 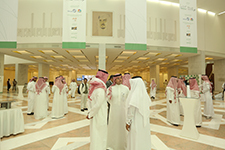 General of the Saudi Health Insurance Council, said that the Board's vision and responsibilities are to enhance the value to all parties and to the individual by the three parties in the insurance process by providing health promotion to individuals And to move towards real investment to prevent disease and reduce costs while maintaining the sustainability of health coverage for anyone who is eligible for service to improve performance. 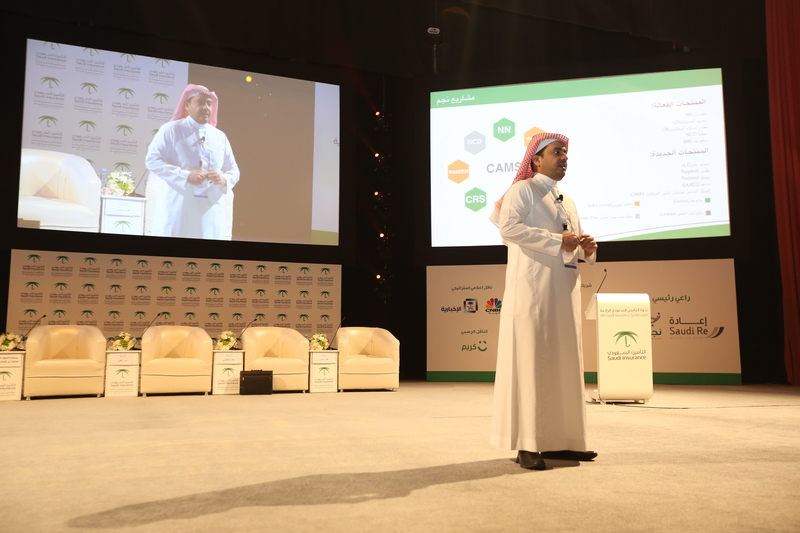 Dr. Al-Ghamdi pointed to the most important initiatives that will be presented by the Health Insurance Council such as the unified claims platform project. The project was launched in 2020 after ensuring technical readiness. Performed by the Board of Guarantee is to achieve transparency and governance. As for the future expectations of health insurance performance, the participants expressed their expectations that the market is promising and there will be growth that will help in creating opportunities for expansion and foreign investors. The participants stressed that the health insurance sector achieved clear growth from 2006 until 2018. The market coverage of the health insurance activity To include 11 million beneficiaries. The sixth session, entitled "Digital Transformation and its Impact on Services in the Insurance Sector", was moderated by Fawaz Al Hajji, CEO of Malath Insurance Company and member of the Executive Committee and Chairman of the Vehicle Insurance Subcommittee. The meeting was attended by Ziad Al Yousif, General of Sales of Electronic Products at Alam Company, Dr. Mohammed Sulaiman CEO of Najm, and Jan Olsen Technical Director, Hani Al Dahan, Deputy Secretary General of Saudi Commission for Accredited Residents. The session reviewed the electronic payments hub, where more than 20% of the financial transactions are now being electronically targeted. The insurance sector has been targeted to benefit from these services in order to mitigate the negative effects of fraud and facilitate claims. The company is working to help insurance companies to connect with SADAD as well as a new platform for electronic billing, a platform that aims to reduce the use of cash in payments through electronic billing between the parties and payment, The insurance sector is one of the sectors most in need of this type of technical service and has been developed to integrate with other platforms. The seventh session entitled "The Future of Insurance - From a Global Perspective", which was moderated by the CEO of Gulf General Insurance Company and Executive Committee Member Ihab Lengawi. Tal Nazer, CEO of Bupa Arabia and Vice Chairman of the Insurance Executive Committee, expressed his optimism about the future of the Kingdom's insurance sector, which represents a large market of more than 30 companies providing diversified insurance services and products. Saudi Youth. On the evolution of the insurance sector in the Kingdom, which is the sale of electronic insurance products, Tal said: "Of course this is a significant step imposed by the developments of modern technology, which contributes to improving the level of service, in addition to facilitating procedures for the purchase of insurance. In his speech at the same session, Dr. Götz Kura, partner at Oliver Wyman, spoke about the premise of Vision 2030 for the insurance industry. "Vision 2030 has developed solutions to address the challenges facing the insurance sector in the Kingdom, To develop a framework for the development of the sector », adding that« insurance is part of the integrated community system, but it is necessary to be responsible for the definition of the sector, through the development of a policy framework and a plan of action ». Pierre Fernosois, Director of Deloitte London, spoke about the challenges faced by the insurance industry from a global perspective, including climate change and its risks from the economic perspective, technological developments and the risks of cyber attacks. He added: "There is no doubt that these risks cause a state of concern at the level of business, and from this perspective, the relevant bodies to oversee the insurance sector to develop perceptions about the need to keep pace with the changes imposed by the nature of circumstances. The meeting discussed the impact of the application of IAS 17 on insurance companies managed by Ammar Halawani, CEO of Arabiya Insurance Company, member of the Executive Committee and Chairman of the Financial Sub-Committee, with the participation of Ibrahim Al Bassam, Executive Partner of Al Bassam & Associates United Accountants, Meeliman Al Sal, and Sergio Gerazim, Partner at PwC Middle East. 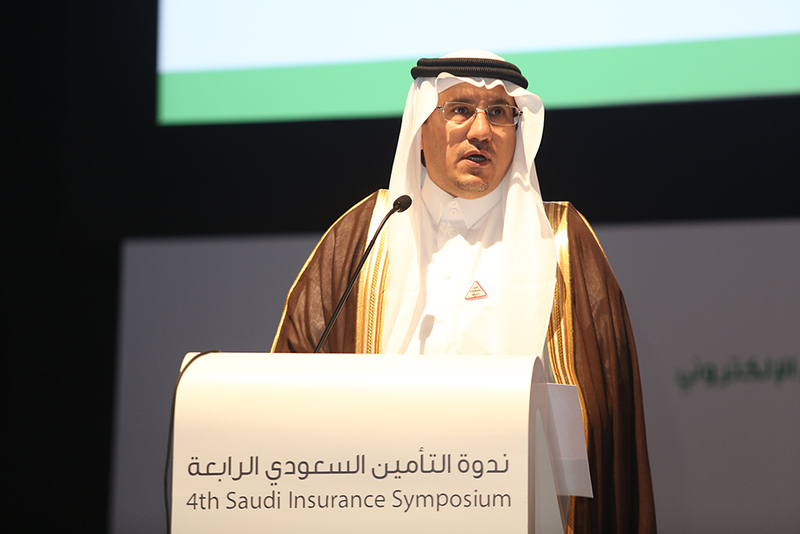 Under the patronage of Dr. Ahmed Abdulkarim Alkholifey, Governor of the Saudi Arabian Monetary Authority (SAMA), the General Committee of Insurance Companies is organizing the 5th Saudi Insurance Symposium (SIC). 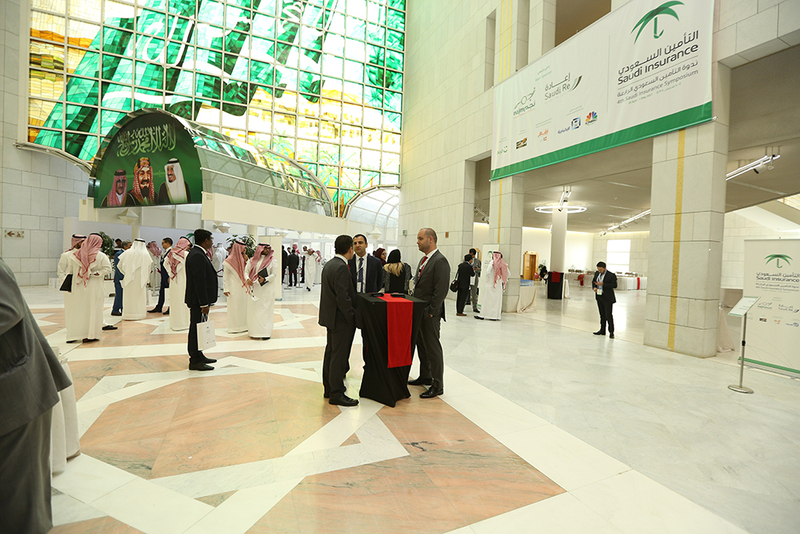 Held under the theme "Insurance: Protection and Sustainability," the event will be held at the Crown Plaza RDC in Riyadh on March 27-28, 2019. 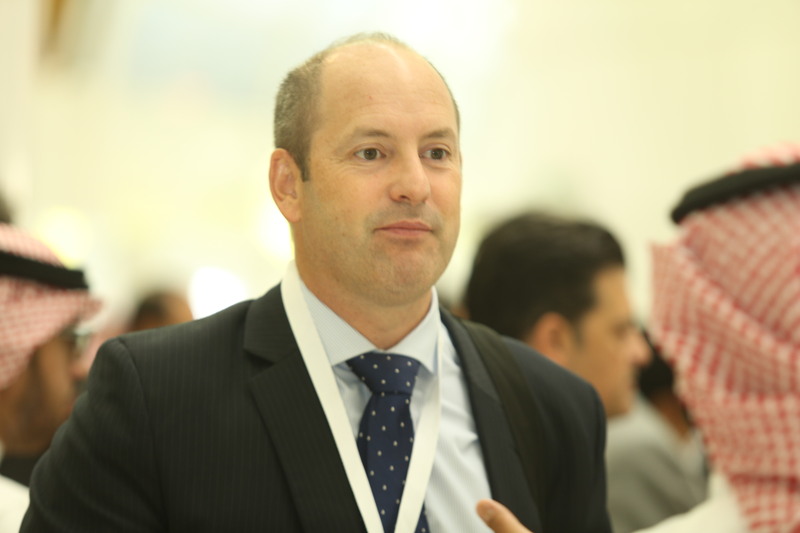 Building on the success achieved over the four previous symposiums, more than 1,000 specialists and insurance executives, as well as top administrators and executives from local and international organizations are expected to attend. Saudi Insurance Symposium is the largest gathering for Saudi insurance companies and the wider GCC region. Held on a biennial basis, the event aims to promote the economic role the insurance sector plays in economic development and offering solutions to pressing challenges facing the industry. This year’s event includes discussions related to critical issues such as the impact of foreign insurance companies entering the market, as well as the role of insurance companies in supporting small- and mid-sized enterprises (SMEs). In addition, issues related to society such as the role of insurance to enhance the savings culture and auto insurance for women will also be discussed. 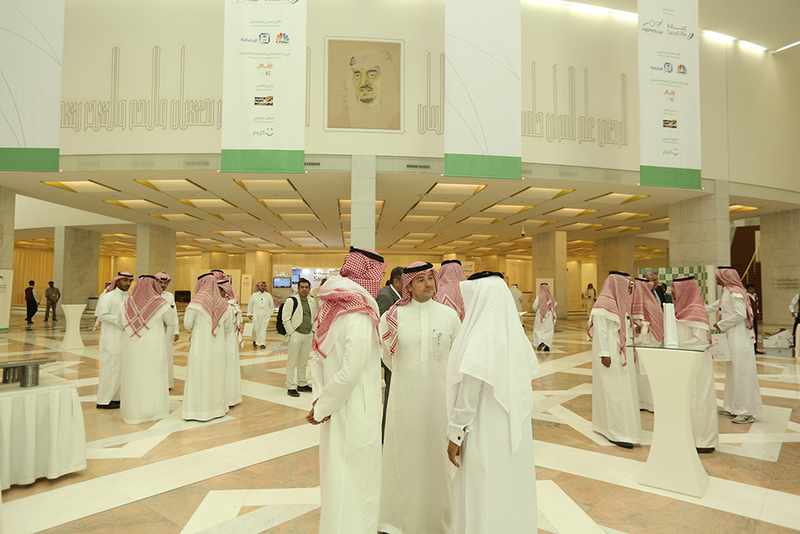 The 5th Saudi Insurance Symposium will also build on the positive impact that Saudi Vision 2030 and the subsequent economic reforms and actions undertaken have had on the Saudi insurance sector. Officials from leading local and regional insurance and reinsurance companies will discuss the economic role of the insurance sector within Saudi Arabia’s economic development in light of the many new policies and regulations issued by SAMA over the last two years. Speaking about the event, Mr. Adel Al-Eisa, media spokesperson for the insurance companies, said, "The 5th Saudi Insurance Symposium comes at a time in which there is strong public awareness of the importance of the role played by the Saudi insurance sector with regards to the economic transformation the Kingdom is currently undergoing." Al-Eisa went on to point out that the sector boasts promising growth opportunities that will come to fruition with more concerted efforts and increased public-private partnerships. For example, there have been notable improvements in the sector in terms of private contribution to the Saudi economy, a rise in awareness of insurance services, and implementation of the policies and regulations issued by SAMA. 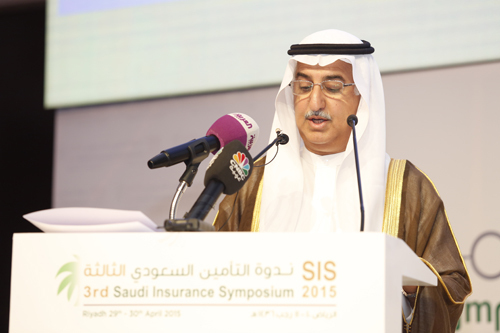 “We are confident that the symposium will feature plenty of dynamic discussions that will further enrich the experience of the insurance industry, a cornerstone of any successful, sophisticated economy, and we look forward to the sector’s continuing success,” Al-Eisa concluded. 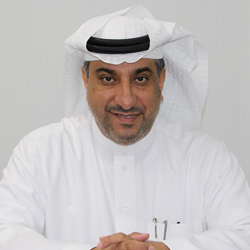 Adel Al-Eisa, Chairman of the Committee for Information and Awareness of Insurance and Media Spokesperson for the sector, revealed that one of the most important challenges facing the insurance sector in the Kingdom is the decline in its contribution to GDP, which recorded 1.42% in 2017. 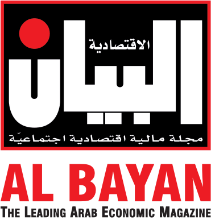 Al-Eisa stressed in his speech to Al-Riyadh that raising its contribution to GDP is linked primarily to the development of the insurance sector and to raising the competitiveness of insurance companies by spreading awareness of the importance of insurance and diversification in products and focusing on small and medium enterprises. A culture of planning and hedging, in light of the growing growth of the business sector and the population, which will enhance the capacities of the local reinsurance sector and support it to reach regional and international markets, with the aim of adding value to the national economy. In addition to the challenges related to increasing the interest in training and qualifying citizens to fill the technical and leadership positions in the insurance sector and the development of educational and training programs to address the problem of occupational exposure through the development of infrastructure, operational and technical for the insurance sector and investment in the human element and the use of technology to improve the services provided to customers. 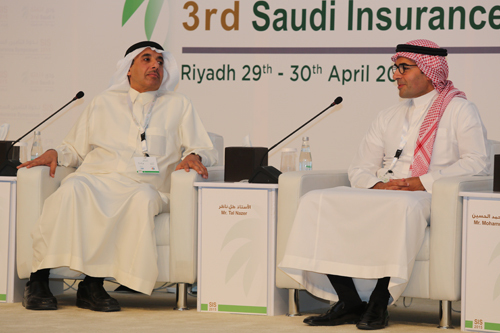 "The Saudi insurance seminar, which is due to start at the end of next March, will be held at the end of next March," said Al Issa. 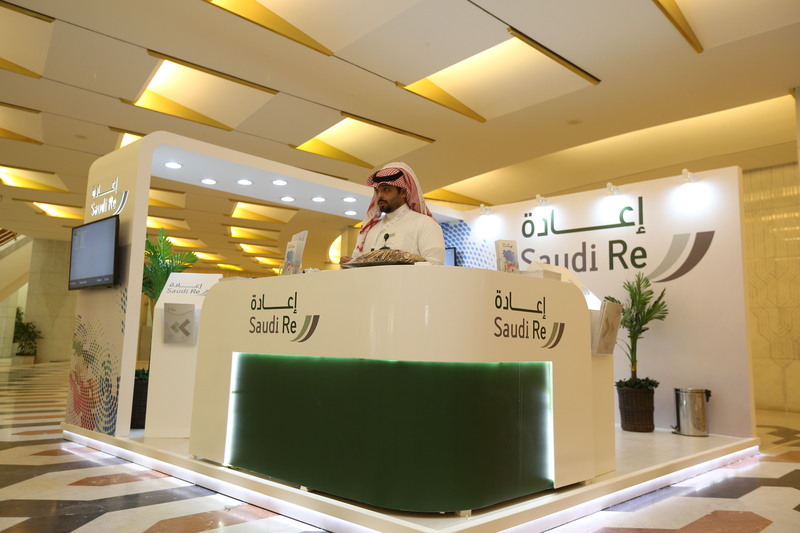 "The conference will enrich the experience of Saudi Arabia's promising insurance sector with opportunities and opportunities to keep pace with the national transition plan. The experts and interested parties are looking at this seminar as a platform for enriching dialogue and offering solutions to address the challenges facing the sector and an opportunity to strengthen the partnership between the public and private sectors to support the national insurance process and increase its contribution to GDP. He added: The Saudi insurance symposium, which is sponsored by Dr. Ahmed Abd Al-Kareem Al-Khulaifi, Governor of the Saudi Arabian Monetary Agency (SAMA), is the largest forum for companies operating in the Saudi insurance sector and one of the largest insurance forums in the Arab world. This year's organization is in line with the vision of the Kingdom 2030 and its subsequent economic reforms and measures will be positively reflected on the insurance sector. 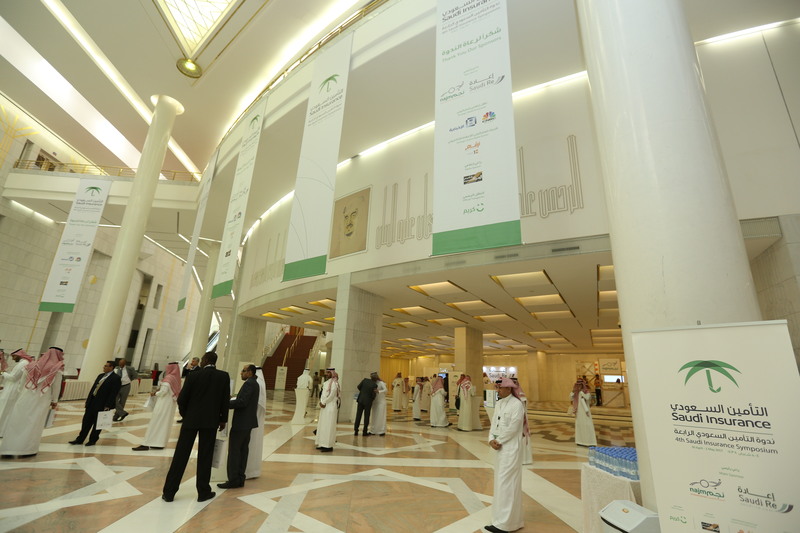 , Which will be attended by officials from the major insurance companies and reinsurance local, regional and international to discuss the economic role of the insurance sector in pushing the march of economic development, in conjunction with the issuance of several new regulations and regulations for the Study of the Saudi Arabian Monetary during the last period. Al-Eisa pointed out that the seminar is organized every two years to stimulate the economic role of the insurance sector in advancing economic development and providing solutions to the most important challenges facing the sector. Which is expected to create opportunities for the sector to grow and expand, through concerted efforts and upgrading the level of companies between the government and private sector, especially as the sector is witnessing a remarkable improvement in terms of enhancing the contribution of the private sector to a larger proportion of the economy Saudi Arabia, raising awareness of insurance services and how to implement the decisions of the Saudi Arabian Monetary Agency. We are confident that the seminar will include discussions that will enrich the experience of the insurance sector, which is full of potentials and opportunities. Al-Eisa explained that the agenda of the symposium will discuss several vital issues in the insurance sector such as securing the future of health insurance and the impact of the entry of branches of foreign insurance companies to the market. The seminar will also discuss issues related to the role of insurance companies in supporting small and medium enterprises, digital transformation in the insurance sector, Such as the role of insurance in protection and savings. He added: "We believe that these meetings and specialized seminars are a platform of quality education and is able through serious discussions to find a number of active recommendations, which enable the development of the sector, and in view of the recommendations of the symposium in its fourth version, it was able through constructive dialogue between those interested in the insurance sector, A series of realistic solutions, including the challenges of technical transformation of insurance companies, the need to develop the technical infrastructure to provide more quality and competitive services, in addition to recommendations related to work to increase the contribution of insurance in the GDP of the Kingdom. To activate compulsory insurance and seek to increase the percentage of insured vehicles to the total vehicles in the Kingdom through the development of mandatory insurance mechanism in cooperation with the relevant government agencies, and other important recommendations. 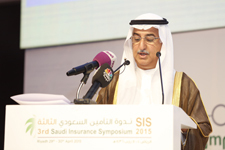 On the same level, Al-Eisa pointed out that the Committee for Insurance Information and Awareness was established by the Executive Committee of Insurance Companies under the supervision of the Saudi Arabian Monetary Agency (SAMA), to be one of the links between the insurance sector, legislators, regulators, community members and the media. All sectors of society through the media and social networking platforms, to achieve greater clarity and transparency, and to preserve the rights of policyholders and beneficiaries of insurance coverage. We are pleased to inform you that the venue is changed to Crown Plaza RDC Hotel on the same dates 27 & 28 March 2019.